Jiaming Investment Co., Ltd. was founded in 1993. Extending the philosophy of “Delivering Urban Classics and Creating Lasting Value”, Jiaming has already become a leader of the real estate industry in Beijing with the quality that it boasts after ongoing progress of diversification and professionalization for two decades. Entrusted with the mission of “Integrating global resources in a wise manner and creating cities with lasting culture and value in a respectable way”, Jiaming shall continue intensifying its efforts in gearing to meet international standards regarding investment management, development operations, and property services. Meanwhile, more attempts shall be made to generate innovation in products and operations. In the spirit of “Creating value via enhancing quality and winning respect by delivering classics”, Jiaming is becoming a leading property fund manager, development, and operation company conforming to international standards in China. Regarding investment management, Jiaming actively engages in the strategic layout of its investment management transactions and has already established cooperation with major financial agencies and real estate funds in and outside China. On the strength of rich experience and high-quality projects, Jiaming spares no effort in helping investors gain substantial investment returns in the property industry, and strives to stand out in the property industry and fund management industry. In terms of development operations, Jiaming focuses on high-end residential housing, commercial development, and new urbanization construction. It has already completed several well-known projects in Beijing with a total construction area of over 4,000,000 square meters. On one hand, Jiaming proactively pushes the application of scientific technologies for energy savings and other green purposes. Jiaming was awarded Platinum Certificate and Gold Certificate twice by LEED. On the other hand, Jiaming pays close attention to the cultural aspect of its projects so as to inject more vitality and improve residents’ welfare. Good examples of these are the Jiaming Tongcheng and Jiaming Longyuan projects.The introduction of the Chen Jinglun Middle School and Tsinghua University Affiliated School provides quality education resources for the residents, greatly enhancing the value of this region. As for property services, Jiaming adopts an excellent international management team and standards and founded Jiaming First Pacific Property Managemnt Co., Ltd. These efforts helped Jiaming successfully complete numerous high-end commercial property projects such as Jiaming Center, Tongcheng International, and Nali Garden which all received wide recognition. 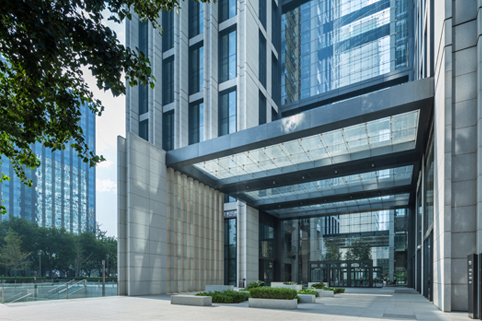 Jiaming Center is the first project in China that obtained the five BOMA China Certificates of Excellence (COE) fully complying with the commercial property management standards of BOMA International. Moreover, in 2014, Jiaming Center became the first nominee in Asia for TOBY, BOMA International's equivalent of the Oscar Awards for excellence in commercial property management.